Gonzalo “ZeRo” Barrios of Team SoloMid is Smash Wii U’s greatest player at the moment. But that didn’t stop Japan’s Brood from sending him to the loser’s bracket at Genesis 4 after a stunning 2-1 victory early in the tournament that caused the crowd to freak out. Currently situated outside the top 20 in the Japan Power Rankings for Smash Wii U, Brood came to Genesis 4, one of the game’s larger competitive events, with plenty of potential to surprise. He plays as Duck Hunt, the bird and dog duo form one of Nintendo’s earliest games, a fighter that sits on the outskirts of Smash Wii U’s current competitive meta. The character is a mid-to-light weight fighter with an somewhat high fall rate who’s also saddled with a lackluster recovery move to help it get back onto the field of play after being knocked off. But as Brood demonstrated, Duck Hunt can still be deadly in the hands of the right person at the right time. Brood himself first broke onto the Smash Bros. scene thanks to his Olimar play from Brawl, a character much more highly regarded and viable relative to that game’s competitive scene than Duck Hunt is in Smash Wii U. Successfully defeating ZeRo in Phase 2 Pools yesterday afternoon was a testament not only to how some players are capable of forcing characters to be competitive by sheer will. 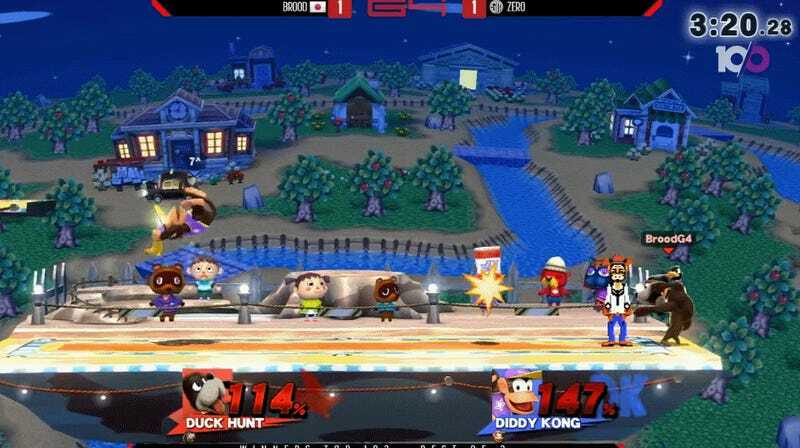 However, Duck Hunt’s projectiles and unpredictable combos can give players an edge against opponents less practiced with the match-up. Enter ZeRo, whose Diddy Kong no doubt haunts even some of the game’s best players. While the match-up doesn’t necessarily favor Brood on paper, it was clear from the opening moments of the set that ZeRo was a step behind in adapting to his new opponent. While it didn’t help that in two instances ZeRo committed errors that led to him sloppily exiting the stage early, it’s hard to say whether they had a decisive impact on the outcome given the apparent control and slight advantage Brood carried through both second and third match. Instead, it seemed like ZeRo was, if anything, ever so slightly frustrated and impatient to finish the set sooner rather than later. 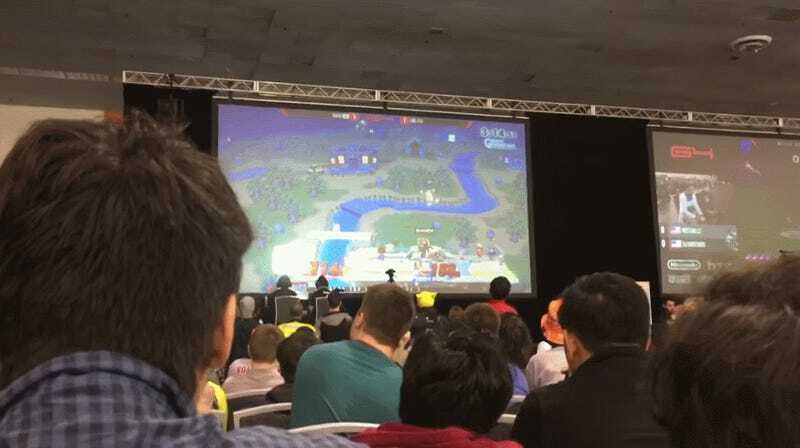 As a result, he played into the ranged control game of Duck Hunt’s projectiles and allowed Brood to set the tempo of the matches. ZeRo lost the set 2-1 and was sent down to the loser’s bracket where he’d have to survive a tough slog to make it back to the grand finals. There’s still a chance the Chilean master could face Ally, winner of Evo 2016's Smash Wii U tournament, later today, either toward the end of the loser’s bracket or in the eventual grand finals. But the meeting certainly wouldn’t be following the script ZeRo probably imagined heading into the tournament last Friday. As for Brood, the “Diddy Kong Slayer” has already finished his journey at Genesis 4, losing to fellow countrymen 9B’s Bayonetta later in the tournament. He placed 25th as a result. Whatever the future holds for him, however, thanks to his pivotal set against ZeRo, he’ll always be remembered as the unlikely player to make one of Smash Wii U’s giants falter. You can watch the entire set between ZeRo and Brood below.